In the early morning hours of Dec. 23, 2016, Alice LaRee Young Steed passed peacefully away at home in Fruita, Colorado, as the snow fell quietly, creating a scene of purity and serenity, the perfect picture of her beautiful life. 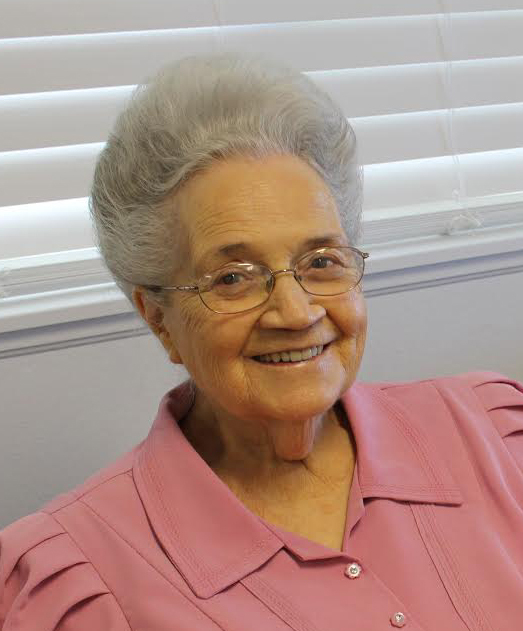 She was born on Oct. 3, 1926, in Kanab, Utah, to Vilate Pugh and Nathaniel Holman Young. She married Newel Steed on April 14, 1945, and was blessed with 15 children, 6 sons, 9 daughters and many others who lovingly called her Mama Alice. She had a zest for life and her unconditional love gave her a wonderful ability to bring out the best in others, always seeing the good and beautiful in everything and everyone. She is survived by her sister, Kloe, innumerable children, grandchildren and friends. Funeral services will be held Monday, Dec. 26, 2016, at 11 a.m. at Spilsbury Mortuary, 110 S. Bluff St., St. George, Utah. Viewings will be held at the Spilsbury Mortuary on Sunday, Dec. 25, 2016, from 5-7 p.m. and on Monday, Dec. 26 from 9-10:45 a.m., prior to services. Interment will be in the Isaac Carling Memorial Cemetery, Colorado City, Arizona. Arrangements are made under the direction of Spilsbury Mortuary, 435-673- 2454. Friends and family are invited to sign her guestbook at www.spilsburymortuary.com.